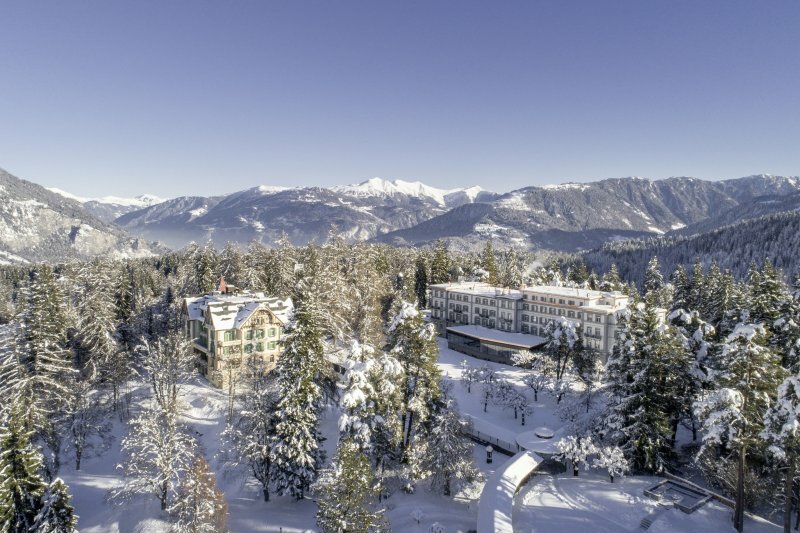 A unique hotel and a welcome addition to the AlpineBooker collection. 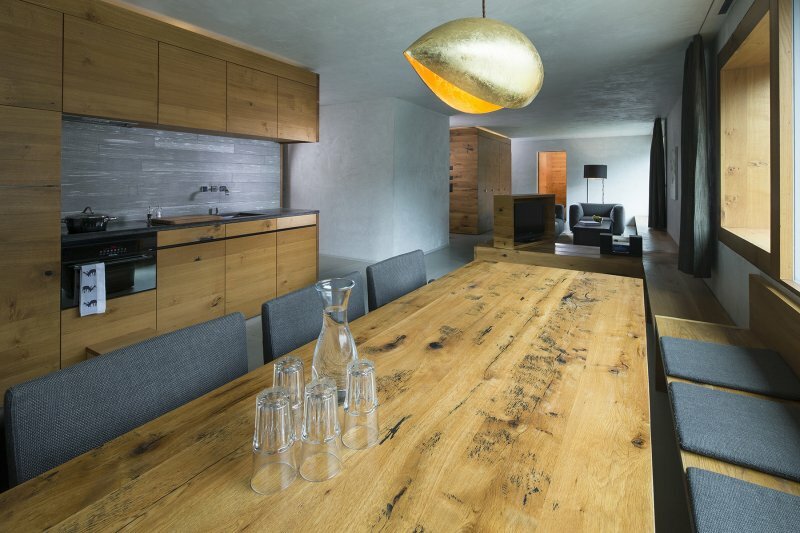 High Alpine Design combined with pure Luxury at its very best (designed by award-winning architect Jean-Michel Gathy from Denniston International Architects & Planners). The hotel has a distinctive Swiss-Asian vibe and hospitality. No small rooms at the Chedi Andermatt, all rooms are at least 60 square meters, going up to 140 square meters. The holistic Spa offers a wide range of treatments and meets all highest & modern standards. It has State-of-the-art facilities including 10 exquisite spa suites, a Tibetan-themed relaxation lounge, a fully equipped health club a Pilates/yoga studio and an in- and outdoor swimming pool. The extensive hydrothermal facility is complete with a Finnish sauna, a Bio-sauna, steam rooms, an alpine petal bath and hot/cold plunge pool. The restaurants have open theatre kitchens featuring Asian & Western cuisine (The Japanese restaurant is said to be the best in the region). Care for some fine Sushi or Sashimi... it's all here. The hotel is very big but the architect was able to maintain a nice and cosy atmosphere. The staff is less formal than you might expect in a five star grand hotel and we think this stimulates the relaxed vibe in a very positive way. You'll feel right at home. All rooms come with a big smart TV (yes of course it's flat) that can be turned so you can watch TV from all angles of the room and offers over 100 international channels. There is a dedicated Ski Butler service available, he will assist you with choosing the right equipment and even bring it to the skistation. Do not lift a finger, the Ski Butler will do this for you! During the summer you can play at the 18-hole Alpine (golf-ball hungry) golf course near the hotel, spectacular views included. We've had our share of cheese tasting over the past years but this is just outrageous. The Chedi has the largest and unique designed see trough cheese humidor in the Alps. The wine & cigar library, always AlpineBookers' favourite hangouts! The selection of fine cigars, coffee-table books and wines is in one word 'unique'. The hotel restaurant also offers a private dining room fitted with oak barrels, wine climate cabinets and comfortable chairs and rustique wooden table. The WiFI is faster than you might be used to in a hotel and you can get a strong signal almost everywhere. The Chedi actually means 'Temple' and the hotel décor is a blend of Asian and Alpine High design furniture. Sounds odd? We've been there, it makes perfect sense! It's just beautiful. Your night-stand offers USB, regular headphone and HDMI plugin. Details we just love! Together Andermatt and Sedrun offer over 110 kilometres of high altitude slopes. Andermatt is probably the most famous and lively of these two authentic Swiss villages. 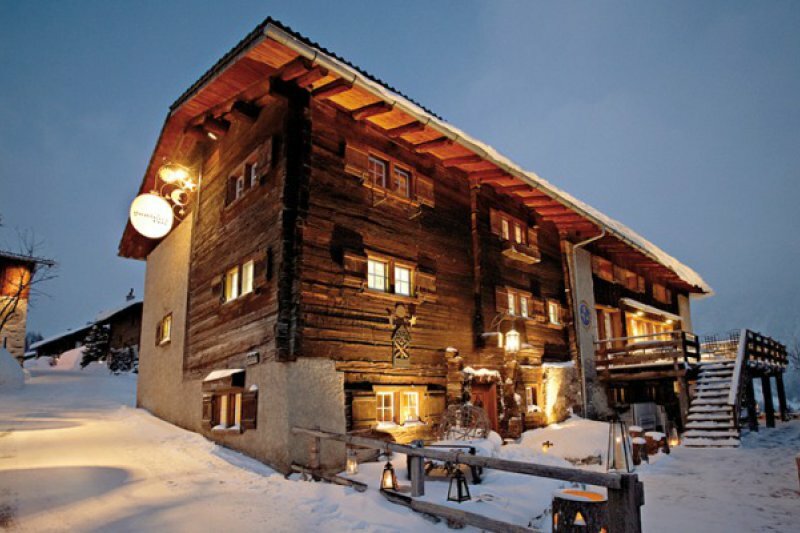 It's a very charming chalet style village with a lot of cosy restaurants and bars. The drive up there is already worth visiting Andermatt making this village a crossroad that leads to several other areas that can be reached by driving Switzerland's most spectacular mountain roads.